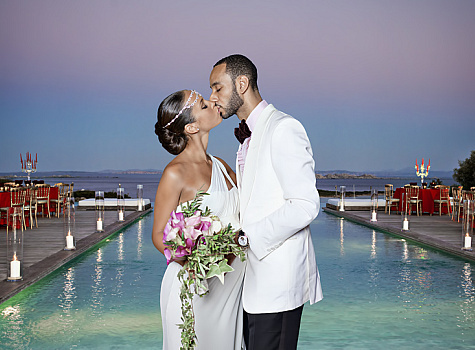 Alicia Keys and Swizz Beatz! I love everything about this wedding, including the fact that it was held in July in Corsica at a private home, and that the bride looked radiant in a Grecian-style Vera Wang ivory silk georgette gown. Oh, and she gave up a few inches of height in order to fit in with her perfect beach setting by wearing gold sandals by Louboutin–love that. Her jeweled headband by Jacob & Co. wasn’t too shabby either, was it? This post will include a Part I and Part II. The first part will focus on recession-friendly bridal looks that will complement the various summer wedding themes and settings open to those of us who are choosing to wed during these hazy, lazy, crazy days. My Part II will focus on those of us who are planning to sit back and relax as guests of the bride. We still need to look setting-appropriate, of course. Floral One Strap Empire Waist Floor-length Wedding Dress, $159.03; V-Neck Beaded Chiffon Beach Wedding Dress, $169.78; Tea-Length Sleeveless Organza Wedding Dress, $111.71; Maggie Sottero: Abigail (price not available online). Clockwise from left: Justin Alexander, Jasmine Bridal (#F374), Jasmine Bridal (#F151), Etsy, $309; Etsy Statement Flower Crown Headband, $49. 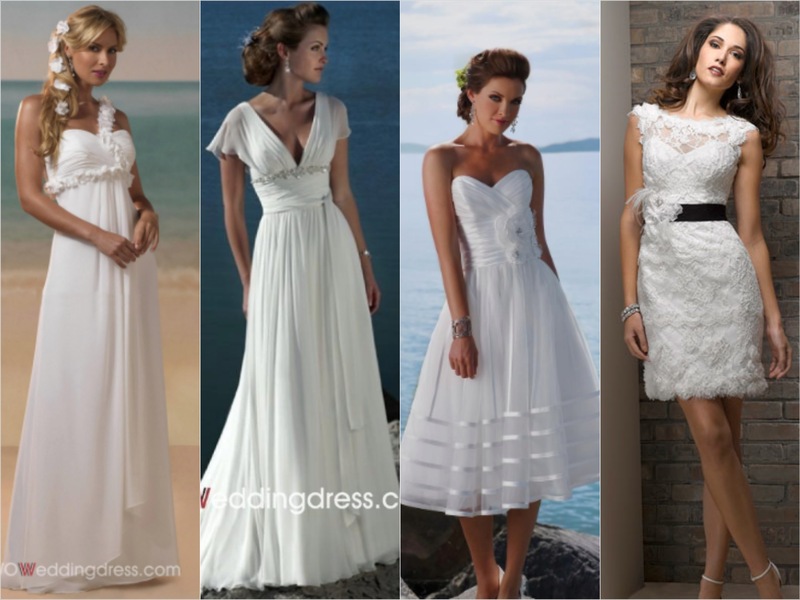 Clockwise: BHLDN: Burnished Organza Gown, $800; BHLDN: Bouvier Column Gown, $1,000; J. 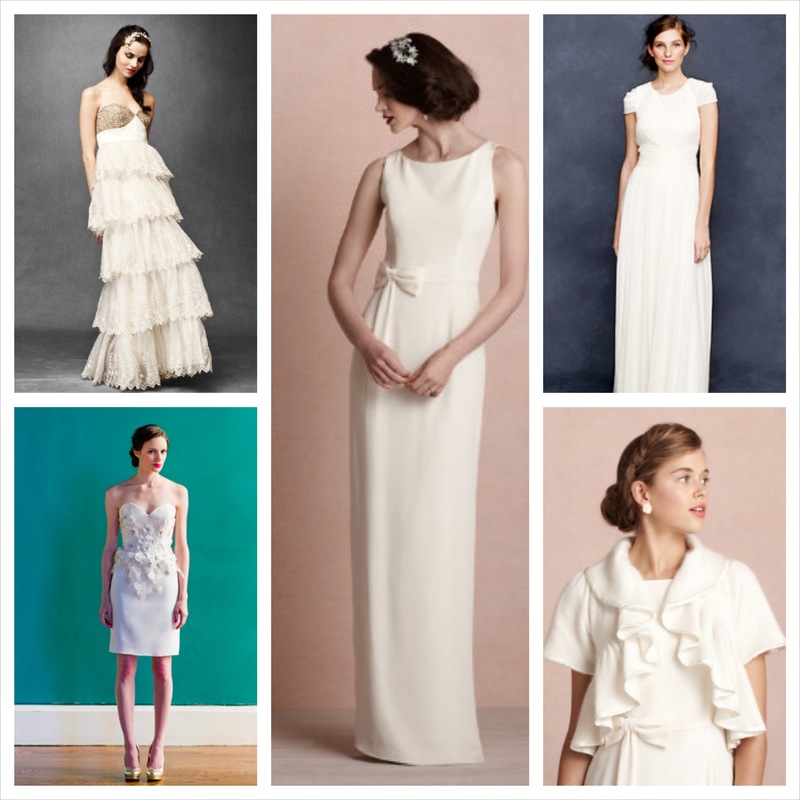 Crew Dauphine Gown, $795; BHLDN: Foxtrot Topper, $40; Carol Hannah: Versailles Pencil Shorty, $405. 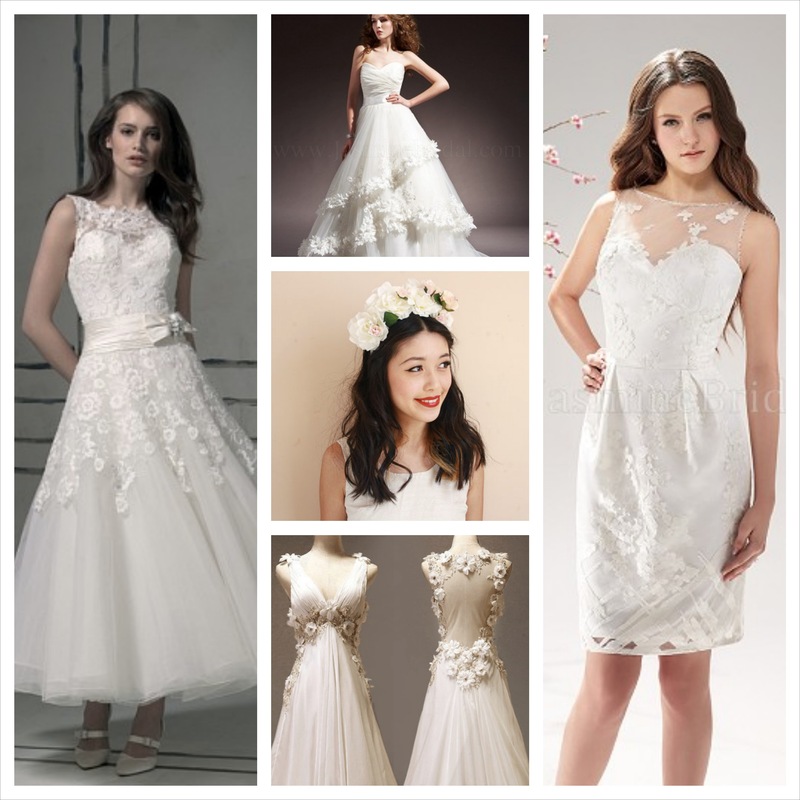 Stay tuned for great and affordable dresses you can wear to one of these fabulous summer weddings!